Dear startrescue.co.uk customer, thank you very much for your kind words. At startrescue.co.uk, we strive for excellence and are always very happy to find that our service has met or exceeded the expectations of our customers. We would be grateful if you could contact our Customer Service Department Monday - Friday 08:00 until 20:00, Saturday 09:00 until 17:00 and Sunday 11:00 until 17:00. To enable us to pass on your comments/reward the services involved. All contact options are detailed within the 'Contact' section on our website, you can even provide your details through the website and we will contact you at a time to suit you. With best wishes, the startrescue.co.uk Team. Dear startrescue.co.uk customer, thank you very much for your kind words. At startrescue.co.uk, we strive for excellence and are always very happy to find that our service has met or exceeded the expectations of our customers. With best wishes, the startrescue.co.uk Team. Dear startrescue.co.uk customer, we are sorry to find your comments. We would like to investigate your experience further for you, and would be grateful if you could contact our Customer Service Department Monday - Friday 08:00 until 20:00, Saturday 09:00 until 17:00 and Sunday 11:00 until 17:00. All contact options are detailed within the 'Contact' section on our website, you can even provide your details through the website and we will contact you at a time to suit you. With best wishes, the startrescue.co.uk team. GEM Motoring Assist Breakdown Cover 1. Emergency Assist Ltd - www.motorbreakdownrecovery.com 2. Drive 24/7 Breakdown Cover 3. Rescue My Car Breakdown Cover - www.rescuemycar.com 4. 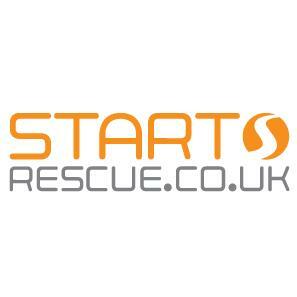 Start Rescue - www.startrescue.co.uk 5.